Trump's push for crippling sanctions against Iran got an unexpected supporter on Tuesday, when Denmark accused Iranian intelligence services of trying to carry out a plot to assassinate an Iranian Arab opposition figure on its territory. A Norwegian citizen of Iranian background was arrested in Sweden on Oct. 21 in connection with the plot and extradited to Denmark, Reuters reports citing Swedish security police. According to Danish intelligence chief Finn Borch Andersen, the assassination was meant to target the leader of the Danish branch of the Arab Struggle Movement for the Liberation of Ahvaz (ASMLA) which seeks a separate state for ethnic Arabs in Iran’s oil-producing southwestern province of Khuzestan. While both the arrested Norwegian and Tehran have denied the allegations, Sweden is certain it has the right man: "We are dealing with an Iranian intelligence agency planning an attack on Danish soil. Obviously, we can’t and won’t accept that," Andersen told a news conference. Iranian foreign ministry spokesman Bahram Qasemi dismissed the accusations. "This is a continuation of enemies’ plots to damage Iranian relations with Europe at this critical time," Tasnim news agency quoted him as saying. Danish Foreign Minister Anders Samuelsen said on Twitter that the reported attack plot was "completely unacceptable", and that "the government will respond to Iran and is speaking with European partners on further measures,” Samuelsen said. 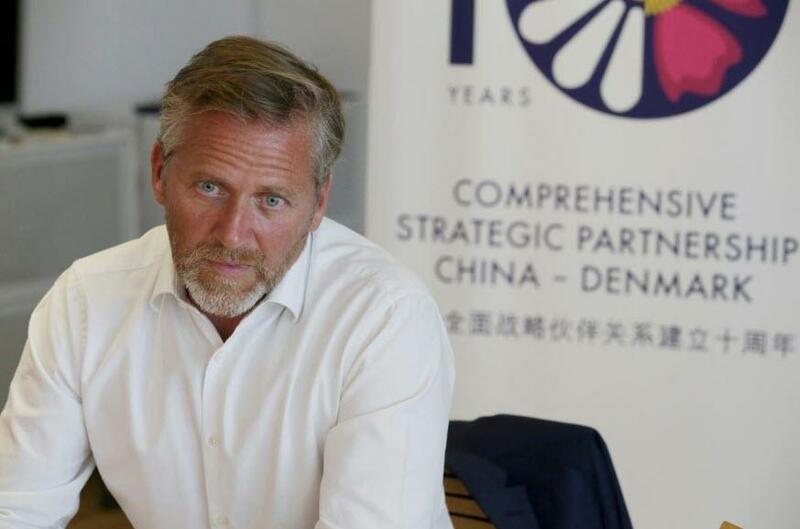 During a subsequent press conference, Samuelsen said that Denmark believes the Iranian government was behind the attempted attack, and that the Danish ambassador has been recalled from Iran. Samuelsen also said that Denmark will push for EU-wide sanctions against Iran in light of the attempted assassination. During the conference, Samuelsen also said evidence presented to him by Danish intelligence leaves "no doubt" Iran's government was behind the plan, and said that behavior by Iranian intelligence was not restricted to Denmark, causing alarm across several European nations. At the same time, Samuelsen said that Denmark doesn’t want the EU to withdraw from nuclear deal, a pact which is "in our best interests" and yet it wasn't clear how it could co-exist with a new round of EU sanctions against Tehran. The allegations come at an awkward time with European countries still trying to save a 2015 nuclear deal between Iran and world powers after President Trump withdrew the United States from the pact and announced the reimposition of sanctions on Tehran. While it wasn't immediately clear what evidence Denmark possessed to make the serious accusations, on Sept. 28, Danish police shut two major bridges to traffic and halted ferry services from Denmark to Sweden and Germany in a nationwide police operation to prevent a possible attack. A few days earlier, the Norwegian suspect had been observed photographing and watching the Danish home of the ASMLA leader, police said. Following a Sept. 22 shooting attack on a military parade in Khuzestan in which 25 people were killed, Iran summoned the envoys of the Netherlands, Denmark and Britain. Taking the initiative, Iran accused the three countries of harboring Iranian opposition groups. Another Arab opposition group, the Ahwaz National Resistance, and the Islamic State militant group both claimed responsibility for the parade attack, though neither has provided conclusive evidence to back up their claim. In an oddly similar situation, last week diplomatic and security sources said France had expelled an Iranian diplomat over a failed plot to carry out a bomb attack on a rally in the Paris area by an exiled Iranian opposition group.